New jobs surged in October and wages rose by the largest year-over-year amount in nearly a decade. Here's a roundup up of the financial news you need to know. Real disposable income — personal income after taxes, adjusted for inflation and divided by the number of people in U.S. — in the 12 months ended October 31, grew 2.8%. 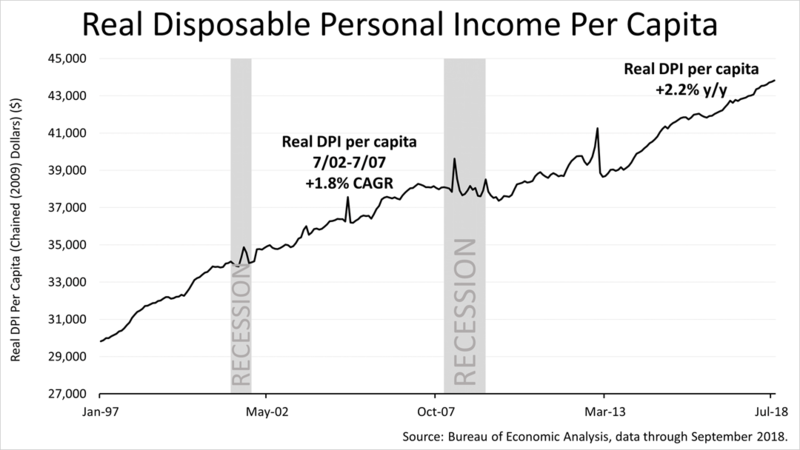 In the five-year economic boom preceding The Great Recession, real personal disposable personal income grew by 2.2%. In the last 12 months, RDPI grew 30% faster than in the last expansion. Car sales shifted into high gear in October. After car sales in September spiked to 17.9 million, the expectation was that car sales would cool in October. Nope! They went to 18 million. 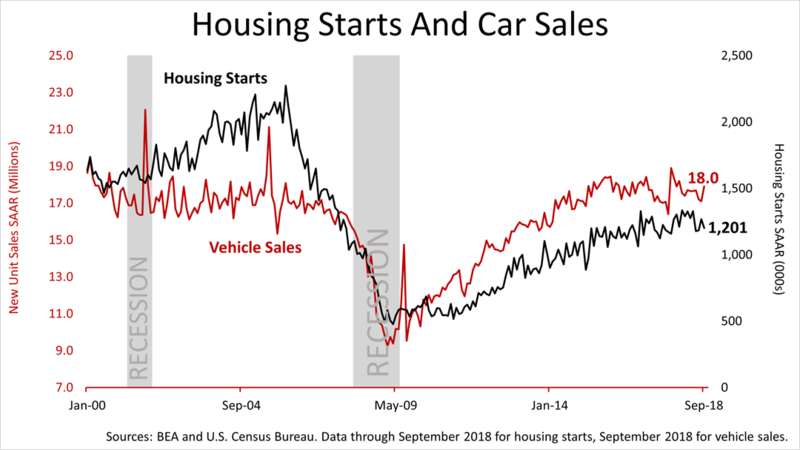 September housing starts came in at 1.2 million, well below the Council of Economic Advisers February 2018 projection in the "Economic Report of the President." 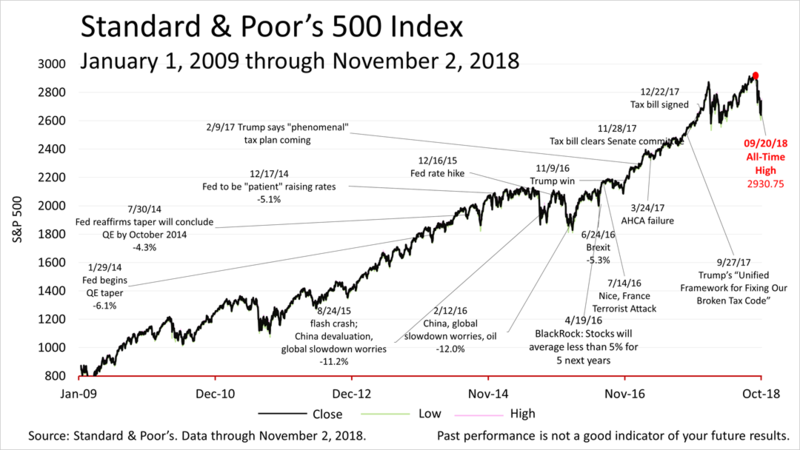 The Standard & Poor's 500 closed on Friday at 2723.06, just 7% off its all-time high, and the double-digit market correction of October halted in the last week. The correction could resume; no one can predict the next market turn, and past performance does not guarantee your future results. 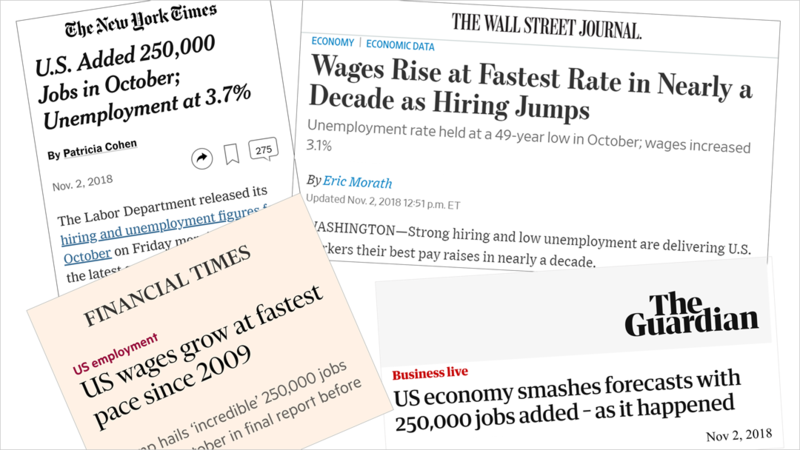 Meanwhile, the economy remains strong and shows no sign of falling into a recession and turning the October's correction into a bear market drop.